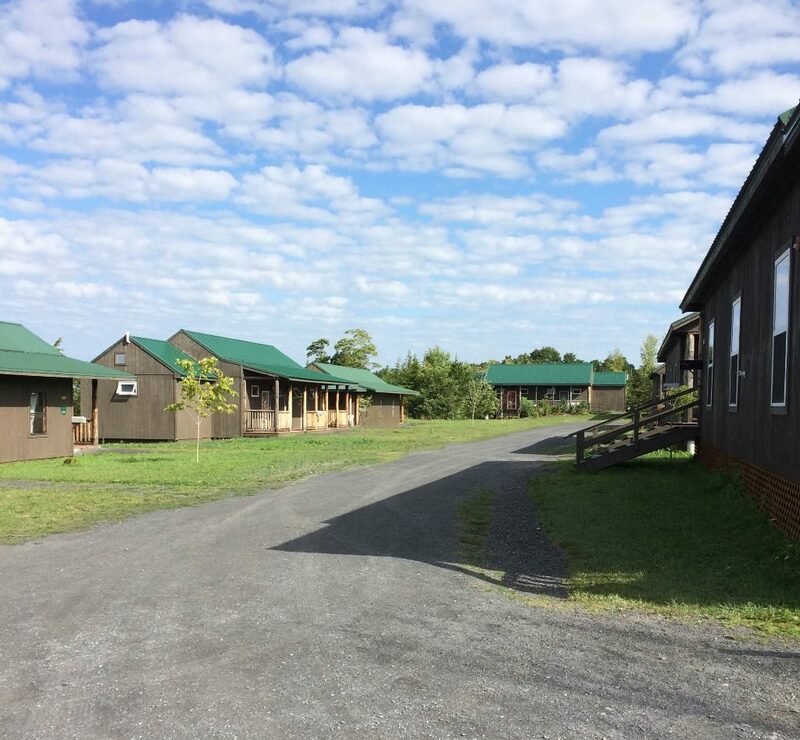 Camp Ta-Kum-Ta’s cabin village is made up of 12 cabins. Each camper cabin sleeps 20 people. Local artists painted all of the cabin doors to match unique and creative themes! Our septic system now reaches all of the cabin bathrooms. These facilities are essential for sick children with compromised immune systems and mobility limitations who need clean, accessible facilities at all times. There is lighting throughout the cabin village which makes it a safe environment for our campers and volunteers as they enjoy Camp activities such as game nights, midnight breakfast, early morning Zumba, after dark ropes course challenges, fun cabin pranks and so much more.